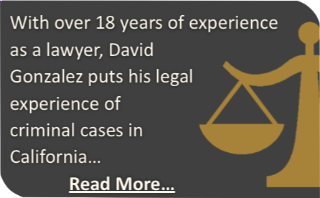 The Gonzalez Law Firm are highly respected Orange County Family Law Attorneys who provide comprehensive legal services to clients in the cities of Fullerton, Anaheim, Anaheim Hills, Tustin, City of Orange, Garden Grove, Santa Ana, Yorba Linda, Placentia, and Buena Park. The firm represents and helps individuals throughout Orange County who are facing the hardship of a divorce, child custody battle, or other challenging circumstances pertaining to family law. The firm represents persons charged with crimes- misdemeanors and felonies. The firm also has over 20 years experience helping persons injured in auto, truck, motorcycle accidents or other injury cases receive the best compensation from insurance companies.